I just couldn't leave the cemetary shot on KLDP till the next theme day. Simply too creepy for anyone to have to keep looking at it whenever they came over to check for any surprise updates from me. So here's a shot I took when I helped a friend do a children's Wayang Kulit show last week. 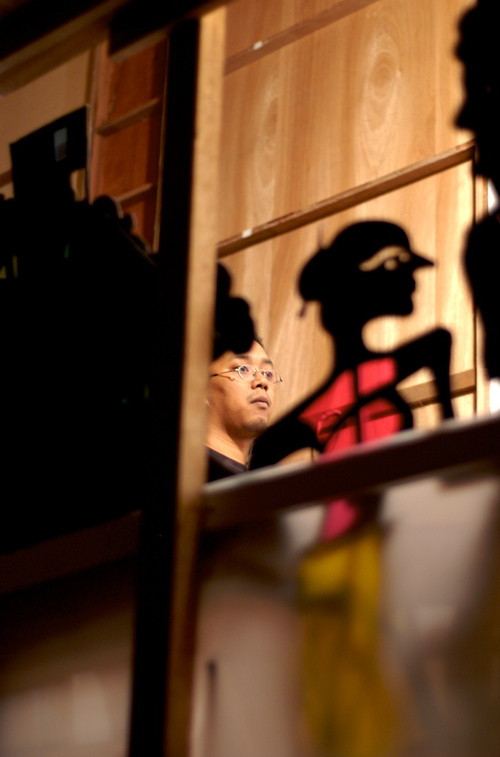 Wayang Kulit (Shadow Puppetry) is slowly making a return to the consciousness of the general public. And with this show, my friend Chris made it assessable to the young ones. Hopefully, from the show, they become more interested and curious about this art form. Theme day. And this time it really spooked me out. I've been so wonderfully busy lately and could only snap a shot in the night-time. 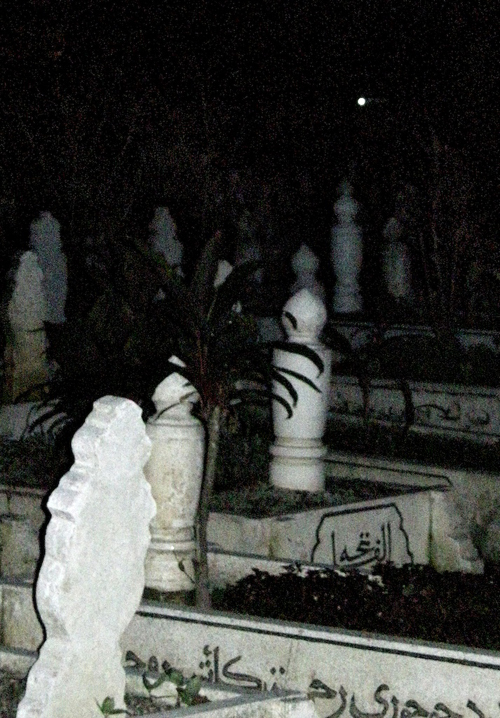 Cemeteries at night... 'Nuff said. Over a hundred members are participating in the theme. You go find them and scare yourself silly.